Suspended by the Labour Party? Read this. This Kafkaesque account of his suspension has been published by Ben Timberley on Facebook – we republish it here for all those who are not on FB and to allow easy access. As you’ll see in the story below, suspended or expelled Labour party members face a gruelling task to prove their innocence or to provide a justifiable context to their alleged ‘crimes’. It is considered ‘normal’ by right-wing party staff and elected officials for party members to be smeared with the label of ‘suspension’ or ‘expulsion’ with all of the social stigma that these labels carry. 1.1. 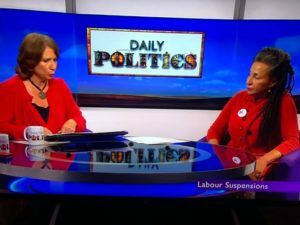 The dramatic increase in suspensions and expulsions of Labour Party members without due process – especially those based on alleged anti-Semitism or “support for other organisations” using rule 2.1.4.B. 1. 2. 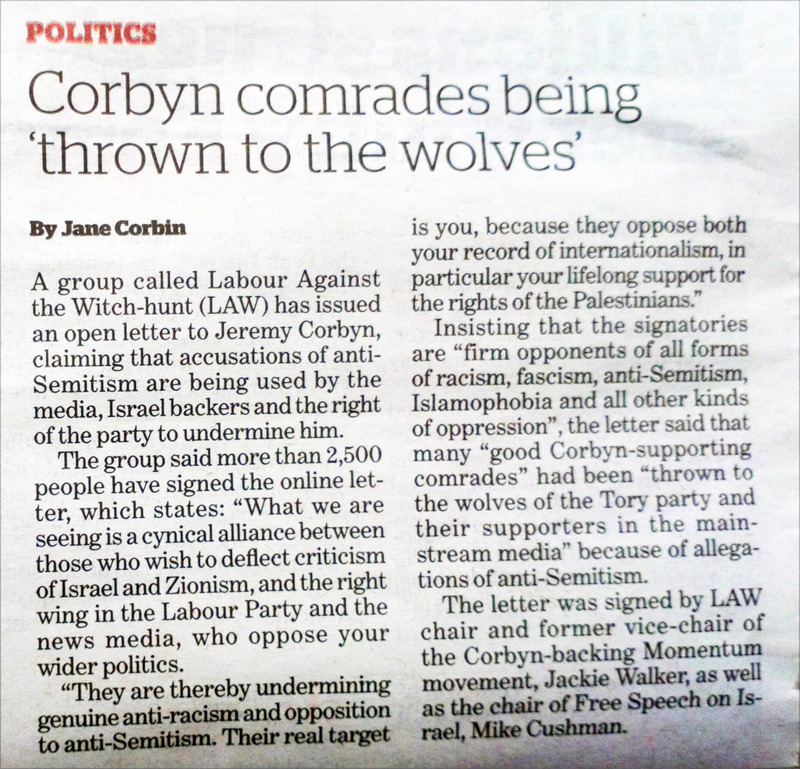 Despite the growing number of fallacious allegations of anti-Semitism, initiated by a group of anti-Corbyn MPs in cooperation with the mainstream media, the number of cases of anti-Semitism among Labour Party members upheld remains tiny. The overwhelming majority of allegations have been baseless and politically motivated – attempts to purge or muzzle members who are critical of Israeli government policies and actions, particularly pro-Corbyn members on the left of the party. 1.3. The Labour Party has only adopted the preambleof the International Holocaust Remembrance Alliance (IHRA) definition of anti-Semitism. It has not adopted the disputed list of examples, which conflates anti-Semitism with anti-Zionism and support for the rights of the Palestinian people. 1.4. 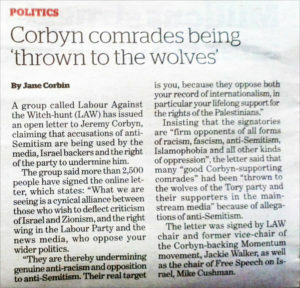 Yet we are witnessing members being publicly witch-hunted, suspended and expelled for using the word ‘Zio’; for criticising the ideology of Zionism; for comparing the actions of the state of Israel to those of the Nazis; or for pointing out, as Ken Livingstone did, that in 1933 the Zionist movement and the Nazis signed the Ha’avara agreement (breaking the non-Zionist Jewish-led call for an economic boycott of the Nazi regime). This is a historical fact and no one should be disciplined for alluding to it. d) that disciplinary procedures must be time limited. Charges not resolved within three months must be automatically dropped. 2.2. The Labour Party’s “Compliance Unit” should be abolished. Disciplinary decisions should be taken only by elected bodies, not by paid officials. 2.3. The first part of rule 2.1.4.B (‘Exclusions’) should be abolished: it bars from Labour Party membership anybody who “joins and/or supports a political organisation other than an official Labour group or other unit of the party” and has been exclusively used against left-wingers. Quoted in: Fightback! : Labour’s Traditional Right in the 1970s and 1980s by Dianne Hayter, page 32. 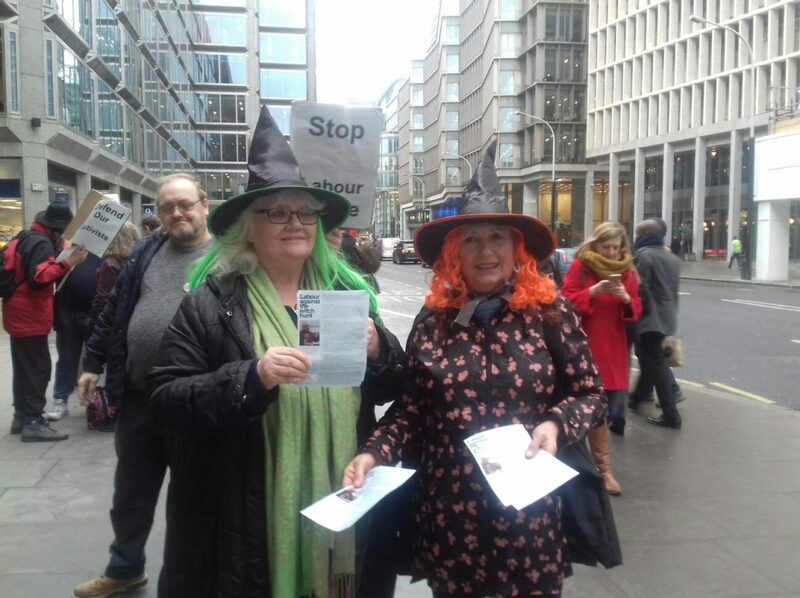 Around 40 Labour Party left-wingers and Corbynistas gathered in London on January 23 outside the posh Labour headquarters at 105 Victoria Street. 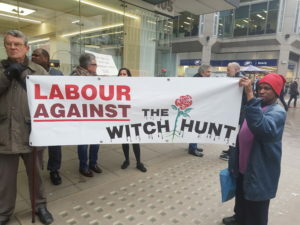 We were there for Labour Against the Witchhunt’s lobby of the party’s national executive committee. The NEC was meeting for the first time with a clear pro-Corbyn majority, following the election of Jon Lansman and two other Momentum and Campaign for Labour Party Democracy-backed comrades, Yasmine Dar and Rachel Garnham. 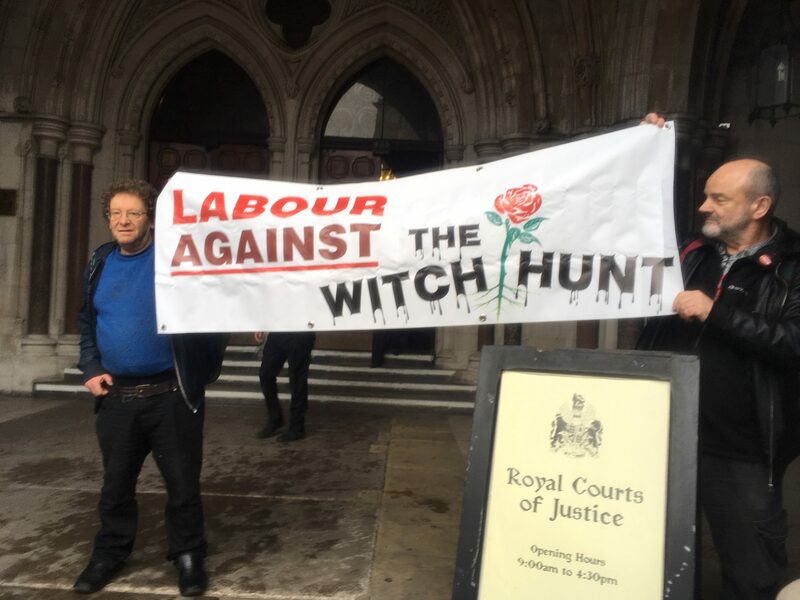 We are demanding an end to the rightwing witch-hunt against the left. 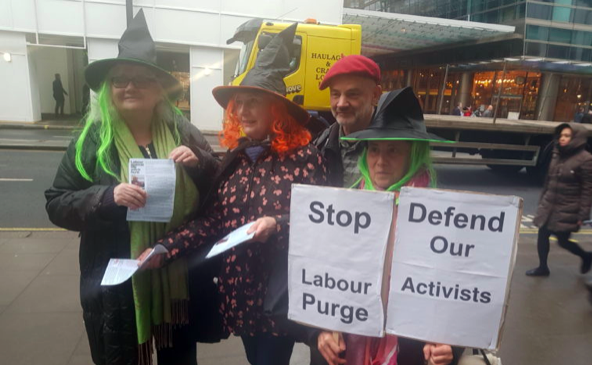 And among us were quite a few ‘witches’ – those suspended or expelled from the party, some for simply being socialists, some on fake charges of anti-Semitism. Activists from Grassroots Black Left joined supporters of Jews for Boycotting Israeli Goods, Jewish Voice for Labour and Free Speech on Israel to drive home the message that opposing Zionism does not equal anti-Semitism. A message was read out from LAW honorary president Moshé Machover, who was unwell and unable to attend. I am “with you in spirit”, he said. 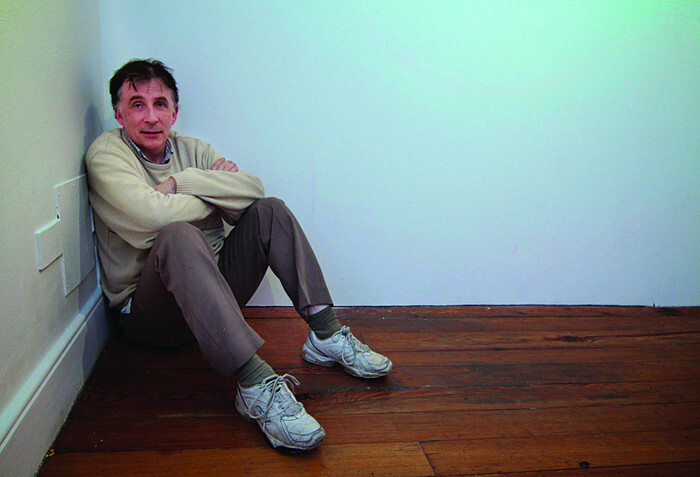 Comrade Machover himself had been expelled in October 2017, but following a huge outcry by Labour branches up and down the country, was then reinstated. An important victory. Labour Against the Witchhunt chair Jackie Walker was interviewed on the Daily Politics today (January 23). 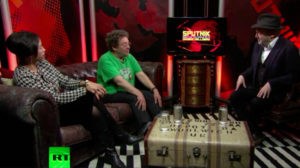 Despite being constantly interrupted by the presenter, she managed to demand a swift end of the witch-hunt against left-wing and pro-Palestinian members. She also clarified that the witch-hunt is not orchestrated by Jeremy Corbyn, but is a campaign by the right AGAINST him and his supporters. Click here to see the clip on Youtube. 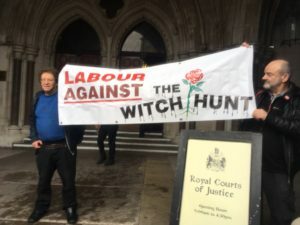 At the entrance to the Liverpool arena, the JC saw scores of Palestinian flags being handed out to delegates ahead of the afternoon debate from a stall set up by the Labour Against The Witchhunt group – which has defended expelled far-left antisemites such as Tony Greenstein. Ken Loach nails it, as do Jewish Voice for Labour, Labour Against the Witch Hunt and Camden Momentum members meeting outside Labour’s national executive committee meeting (NEC) tomorrow morning. Labour’s anti-Semitism row: Who are all the different groups? 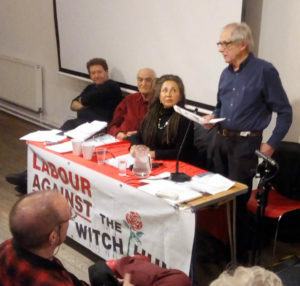 Despite being frequently interrupted by the presenter, Jackie managed to demand a swift end of the witch-hunt against left-wing and pro-Palestinian members. She also clarified that the witch-hunt is not orchestrated by Jeremy Corbyn, but is a campaign by the right in the Labour Party AGAINST him and his supporters. We understand that the suspension of Syed Siddiqui is being considered by the NEC very shortly and we urge you to lift the suspension. We append a Case summary, and attach the relevant sections of the Rule book and the exchange between Mr. Siddiqui and Party Officers, leading now to a second complaint about how this issue has been handled. As Mr. Siddiqui has been selected to stand for the local Council, it is even more important that it is addressed swiftly. We have 2 JVL committee members in this constituency who can attest to the falseness of the allegations and to the truth of the Islamaphobic comments addressed to Mr. Siddiqui. We look forward to a speedy resolution of this matter. 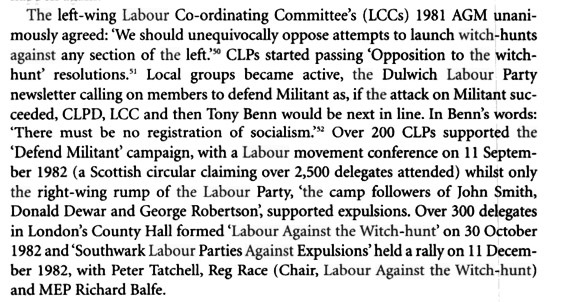 On the very same day that LAW’s honorary president Moshé Machover was expelled from the Labour Party, so was Michael Paling. But, unlike Moshé, whose expulsion had to be overturned by a successful international campaign, comrade Paling remains expelled. 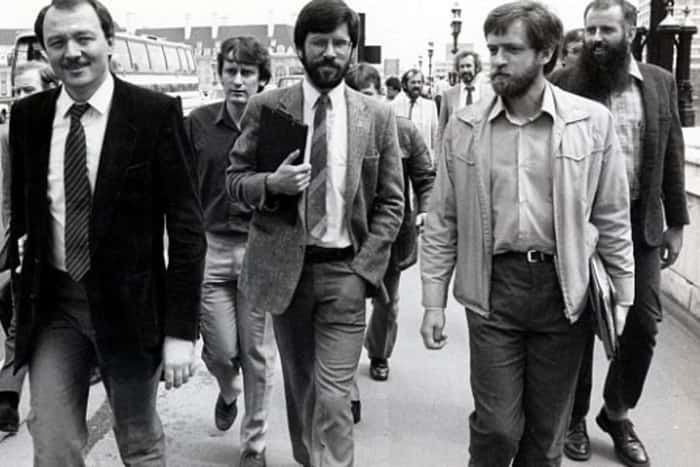 Mike was a member of Redcar CLP prior to his expulsion. The MP there is the notoriously anti-Corbyn, Progress-supporting Anna Turley. As his email to Moshé explains (see below), his ‘offence’ was sharing posts which included articles from Weekly Worker. His Facebook timeline is full of posts he has shared, most of them have nothing to do with the CPGB or LPM. He was obviously targeted as an active trade unionist. They were amongst many such posts that he shared on Facebook. We need to put an end to this McCarthyism. “A member of the party who joins and/or supports a political organisation other than an official Labour Group or unit of the Party or supports any candidate who stands against an official Labour candidate, or publicly declares their intent to stand against a Labour candidate, shall automatically be ineligible to be or remain a party member, subject to the provisions of part 6.I.2 of the disciplinary rules”. Until very recently the political balance on Labour’s National Executive Committee meant that decisions concerning suspensions and referrals to the NCC appeared to be rubber stamped. Following today’s elections of a further 3 constituency members it is widely hoped and expected that there will now be a socialist majority on the NEC. From now on there is no longer an excuse for the witch hunt of socialists. Nothing can be more ludicrous than the suspension of poet Kevin Higgins for writing a satirical poem about Tony Blair. It is only the most oppressive countries that persecute poets. Nothing can be more unjust than members left suspended, often for months, without information as to charges against them, without regard or due care for the effect this has on members lives and reputations. We know of a number of members in this situation who have been put at risk of severe depression and suicide. As you know, at the present time the cases of Tony Greenstein, Jackie Walker and Marc Wadsworth are going to the NCC. Nothing can be more absurd than a socialist party seeking to expel Jewish, Black and life-long anti-racists for the ‘crime’ of having upset the supporters of Zionism & Israel. The fact that these suspensions are so avidly reported by Britain’s most racist tabloid press – the Daily Mail, Express and Sun – gives the lie to the suggestion that these suspensions have anything to do with ‘anti-Semitism’. Does anyone seriously believe that papers which employ Richard Littlejohn, Katie Hopkins et al are seriously concerned about anti-Jewish racism? Shami Chakrabarti, in her Report recommended that ‘The Labour Party should seek to uphold the strongest principles of natural justice, however difficult the circumstances, and to resist subjecting members to a trial by media.’ Eighteen months later these Chakrabarti proposals have not been applied in any meaningful way to the disciplinary process. Members being processed by the Compliance Unit have been subject to repeated leaks to the media, in a clear breach of the Data Protection Act. We call for a freeze in all disciplinary actions as and until the Chakrabarti Report’s recommendations on due process and natural justice in regard to the disciplinary process have been debated and implemented. David Watson, Labour Party fundraising coordinator for the Walthamstow constituency in northeast London, was suspended for unspecified “breaches of party rules.” The Jewish Chronicle – a Zionist weekly newspaper which has been a main cheerleader for the campaign branding Labour a hotbed of Jew-hatred – gave an “Exclusive” tag to its May 6 report alleging that Watson had been suspended because of antisemitic Facebook posts. For more info on this case, click here. To sign a petition calling for his reinstatement, click here. Poet Kevin Higgins has been suspended from the Labour Party for over 18 months, apparently for writing this satirical poem about the Blairs. For background to this case see here. What Did The Politician Get His Wife? and realised he could speak? every other night for thirty five years. conference microphone to agree with both sides? and those who want them kept over there. and his not new wife. he won that seat on the City Council? in the Daily Express lifestyle pages. en route to the nearest funeral parlour. 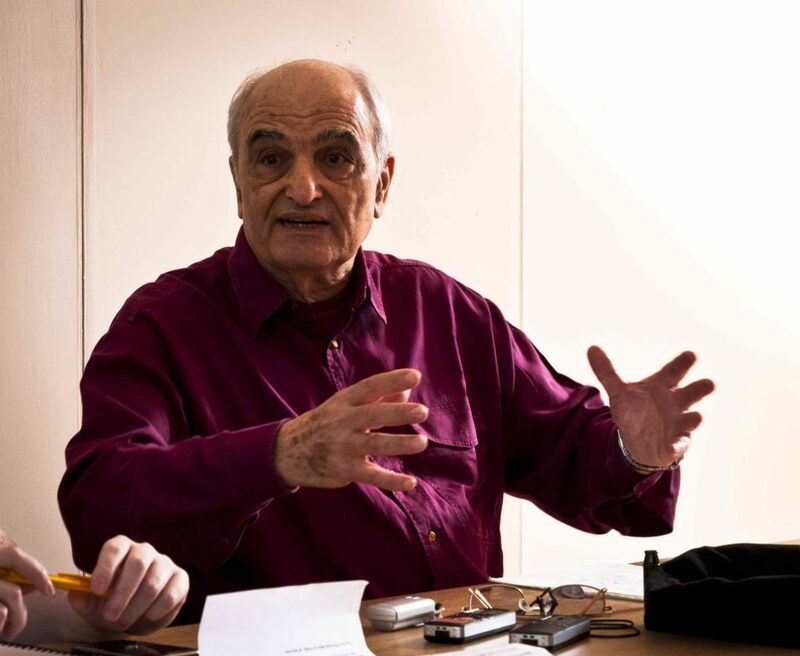 Solidarity with Moshé Machover – the labour movement speaks out! The expulsion of long-standing Israeli socialist Moshé Machover from the Labour Party (expulsion letter here) caused shockwaves throughout the labour movement. We feature the motions and statements in support of Moshé and against the ongoing witch hunt by the right in the party. 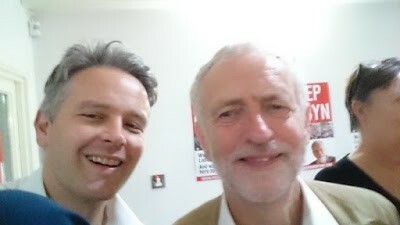 On October 5, Moshe received a second explusion letter, which states that “These allegations [of anti-Semitism] are not subject to an investigation as you are not currently a member of the Labour Party.” They will probably be kept on file, should his expulsion based on his “clear support” for LPM be overturned. This is arbitrary, to say the least. Clearly, the mass protests against the outrageous decision worked: On October 30, they were forced to – very reluctantly – reverse their own decision and Moshé has now been reinstated to full membership. Click here to read the correspondence between comrade Machover and Sam Matthews, “head of disputes”. Update: High Court judge rules in Tony Greenstein’s favour! Good news: Tony Greenstein’s expulsion hearing – scheduled for Monday 11 – cannot take place before January 8, giving Tony more time to prepare. The Labour Party’s lawyers “sent me a bill of costs for 7.5K but instead I applied for £100 costs which I’m donating to Labour Against the Witchhunt”, says Tony. 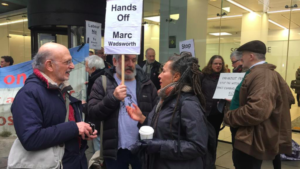 This (small) victory also means they are unlikely to pull similar tricks when it comes to the forthcoming hearings of Jackie Walker, Marc Wadsworth and others. Click here to read Tony’s article: McNicol’s Puppets waste £10,000 of Member’s Money – How Long are Momentum and Lansman going to remain silent?